This fifth edition has been revised and updated to address recent changes in the law and debates on controversial topics such as surveillance and human rights. 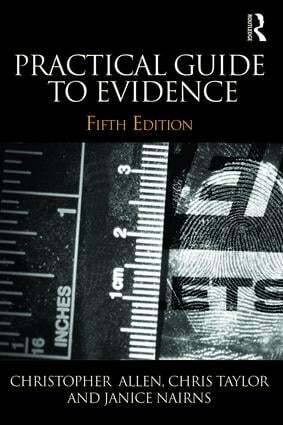 Coverage of expert evidence has also been expanded to include forensic evidence, bringing the text right up-to-date. Including enhanced pedagogical support such as chapter summaries, further reading advice and self-test exercises, this leading textbook can be used on both undergraduate and professional courses.